With a trembling voice, acoustic guitar, and confessional approach to songwriting, Conor Oberst played an important role in shaping the lighter, intimate side of indie rock during the late-’90s and beyond. His main project was Bright Eyes, an eclectic group of rotating musicians that vacillated between pop, folk, electronica, and country-rock. Although Oberst remained at the center of that band, he also logged time in a number of other outfits, including Commander Venus, the Magentas, Park Ave., Desaparecidos, and an early version of the Faint. Finally, he supported likeminded artists on an executive level, co-founding Saddle Creek Records in the ’90s and launching his own label, Team Love, in 2003. 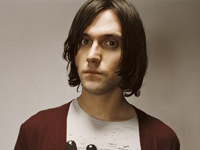 A native of Omaha, NE, Conor Mullen Oberst was born on February 15, 1980. He began playing guitar at the age of ten, receiving lessons from his brother, Matt — a part-time teacher who doubled as the vocalist for Sorry About Dresden — as well as the boys’ father. Conor’s second sibling, Justin Oberst, joined the effort three years later by financing Conor’s first release. Entitled Water, the album featured a cameo by fellow Omaha resident Ted Stevens, who also played alongside Mike Mogis in Lullaby for the Working Class. This early partnership set the stage for Oberst’s collaborative discography; it also allowed Oberst to further his friendship with Mike Mogis, who would later play an integral role in Bright Eyes’ success. Although still a young teenager, Oberst joined the ranks of Commander Venus and Norman Bailer (who later rechristened themselves the Faint after Oberst’s departure) in 1994. The Faint’s Todd Fink then joined Oberst in 1996 for a short-lived band named the Magentas. That same year, Oberst expanded his résumé by playing drums for Park Ave., although the group disbanded two years later. Bandmates Jamie Pressnall and Neely Jenkins went on to form Tilly and the Wall, with Conor Oberst issuing the group’s albums under his own Team Love label.